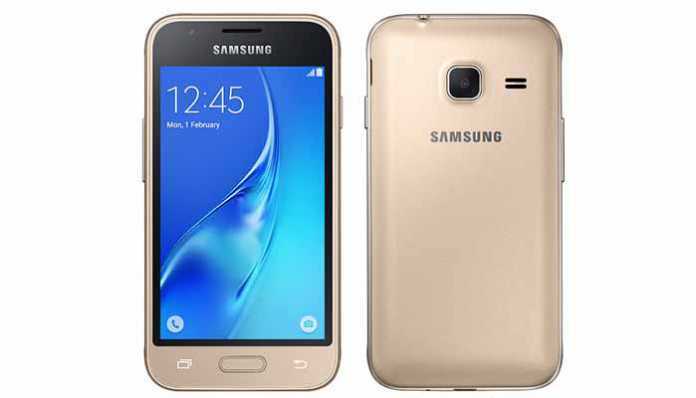 Samsung Galaxy J1 Mini Prime Smartphone Launched in U.S Check Specification Features Price :- South Korean Smartphone Manufacturing company – Samsung introduced new Galaxy J1 Mini Prime smartphone. This smartphone is available on the e-commerce website – eBay. This Samsung Budget Smartphone is available @ $86.99 in USA. Specifications: Samsung Galaxy J1 Mini Prime smartphone features a 4 inches WVGA 480p x 800p display with 233 ppi for pixel density. The new handset is powered by a quad-core Spreadtrum SC9830 processor with speed of 1.2 GHz coupled with 1 GB RAM. The inbuilt storage of the handset is 8 GB. The internal storage is further expandable up to 256 GB through micro SD card. The new handset runs on an Android Marshmallow 6.0 OS. The device supports dual SIM cards Micro SIMs slots. The Samsung Galaxy J1 mini prime smartphone feature a 5 MP auto focus main camera along with the LED flash for capturing pictures in the dim light. The handset also features a front camera that is a 0.3 MP front camera for the selfie. Connectivity: Samsung Galaxy J1 Mini Prime smartphone supports 3G, GPS, GPRS / EDGE, Wi-Fi 802.11 b/g/n, Bluetooth 4.1 and Micro USB options. The device measures 126.6 mm x 63.1 mm x 10.8 mm. The weight is 123 grams. The Samsung Galaxy J1 Mini Prime is powered by a 1500 mAh. The handset is available in the three attractive color variables – White, Gold and Black.